She's really really struggling with her breathing. She's using her nebulizer and taking in plenty fluids but the humidity where she is, is thick. She is now in air conditioning, which helps. Her O2 Sats are good and she says her lungs sound good. But I know this is painful for her. Ellen only has ONE HALF of both lungs. The upper lobes were removed in BOTH lungs. Plus her computer is down once again. She just needs a break. Please lift her in prayers everyone, she is always lifting all of us up...its our turn to return the favor. I think I have a laptop to send her but won't have access to it until this weekend...but will try to get it tomorrow. Thanks everyone...I know I can count on people on this site to be there for her because thats just what we ALL do. We hold each other up when times are tuff . And we all know that people who work in the medical community, as Ellen is a retired RN....are THE WORST at taking care of themselves. Prayers going up as we speak, thank you! Thank you Missy, for some reason I was just thinking about her. She will be in my prayers for better breathing and all around relief. Praying. Dear FatherFather God... I come in MY Lord Jesus name to ask for Ellen's healing by our Lord Jesus and to be strengthen in you Lord Jesus by our Holy Comforter in Lord Jesus name and precious healing blood and faith in Christ Jesus Himself and thank you Daddy God for always hearing and answering MY prayer Amen and amen I praise and worship you for your goodness and faithfulness and most of all your tender mercies and grace upon grace to your daughter in Christ Jesus precious Ellen's her needs in physical mental emotional spiritual wellnesswellness. Thank you again MY Daddy God for you. Ellen, my prayers are with you! There is so much on your plate and you are relentlessly strong but now is the time to take care of you! Please, Lord, guide, protect,, and comfort our Sister Ellen! Amen! She is always on my prayer list - but will send some extra thoughts and prayers for her. Please keep us updated on her condition. Ellen, hoping your breathing and the humidity improves soon. Sending prayers your way! Oh I was thinking about her just today. My daughter does not live far from Ellen and I know the heat and humidity has been bad. Prayers for our special girl. What a loving woman she is. I am praying for Ellen. If her sats are o.k. hopefully the feeling of breathing without difficulty will return. Love you, Ellen. This makes me so sad to hear this. I hope you feel better soon Ellen. Love ya! sending prayers for Ellen to get some relief. So sorry to hear she is suffering. Get well soon! Holy Cow Ellen- So sorry for that nasty breathing problem. TOUGH TIME NEVER LAST BUT TOUGH PEOPLE DO. Be tough kiddo - you will get through this tough time. Praying for you! Sending prayers your way Ellen!! Sending prayers for my dear friend Ellen. Wow. Continued prayers for Ellen. I noticed several comments about how someone was just thinking about Ellen. For some reason, she came to my mind as I was falling asleep last night. It was extremely hot and humid here last night, but it was the only chance I'd have to mow my lawn for the next several days, so I went out and did it. We were even under a air quality alert here. I was very uncomfortable, but had no problem completing the task. As I was falling asleep, I was thinking about how I couldn't have done this 2 years ago. And I was thanking God and Ellen, who was most instrumental in my quit. Many prayers for your comfort dear Ellen. Sending extra prayers for you Ellen, thanks Missy xo. Sending easy breathing vibes your way elvan! Take care of yourself! Best thoughts and sincere prayers for you dearest Ellen. You are on my mind so much. With love and hugs. Bree. (((((Ellen))))) Prayers and best wishes your way. Praying again for our sweet elvan that she has comfort in breathing. Praying for renewed strength in her body, mind, and spirit. Praying that she has healing in her body. Praying she will find comfort today. Whatever she needs Lord please deliver. Amen in Jesus Name. Ellen I'm sending healing vibes and prayers to you. I pray for your comfort and peace. 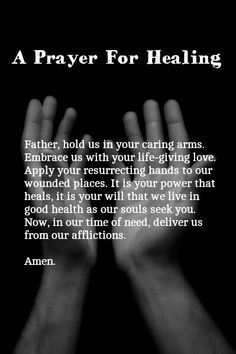 Sending up healing prayers for you, Ellen. Mandolinrain Thank you for letting us know. Well I have not been able to reach her today to check in on her. OK, She finally just texted me back, ( I told her no calls, I want her to save her breath). She said she was at the store getting more nebulizer solution. She said she is slightly better than yesterday, so yes....continue the prayers,...she thanks all of you and sends her love. Thanks for that update! Yes, Nurses do make the worst patients and most often do not follow their own advice! She needs to just rest for a week, and let people help her! Keep us all informed! I always look forward to reading her comments! Just now seeing this. Sending prayers. I have only gotten acquainted with Ellen recently, but know she has many things on her plate and needs to put as much effort, if not more, into being as good to herself as she is to everyone else. I know, easier said than done, and nurses/doctors are the worst for minimizing their own needs. This is no time to do that, though, and I’m sending good thoughts and prayers to her to help her prioritize her own needs right now. Thoughts and prayers always for her. Good vibes and prayers are on the way!! Many prayers being said for my dear friend Ellen. Yes, Missy she has been struggling along. I keep telling her to go to hospital, but man, she's tough and stubborn. In Jesus name, may her health return, and please god, give her a better time of it now. Prayers for Ellen... thanks so much for keeping us posted! I will pray for her. Sending her lots of love. Prayers going up, feel better soon Ellen! A flower for my buddy, picked from our backyard for you, Dear Friend, elvan ! Feel better, Woman!!!!!!!!!! And, it even smells like a rose - the scent has not been bred out of it. PS: Thank you, Mandolinrain , for letting us know about Ellen! Isn't it a pity they've bred most of the scent out of roses. At least there are still a few around that perk up the nose. Beautiful one, Irish. My husband's friend had a red, long stemmed, beautifully scented rose bush near the front door of his house. If I went to the friend's house with my husband, his friend would always cut a flower from the bush and give it to me. One day, out of the blue, my husband looked at that freshly cut rose in my hand when we got home and decided that he was going to root that stem. Well, it rooted in that glass of water after a good long time. It GREW ROOTS! My husband planted it in the back yard. The original rose bush that belonged to his friend was planted in his friend's front yard back in 1978. My husband got that stem to root, grow and produce those beautiful flowers just a couple years ago. They smell beautiful too, but then, our bush is an off-spring of a bush 40 years old - way before they started mass production of flowers. Now, my husband gets to cut roses for me. So so sorry to hear Ellen is not doing well - my thoughts and prayers are always with her and will continue even more so. Although there are many thoughtful and caring people on this site, none are more so than her. May healing come quickly. I hope she’s ok. Saying lots of prayers for her. Dear Ellen always thinking of your and sending prayers for you girl sure praying for you to get some relief. Love and hugs girl. We miss you. Selfishly I say..............."We need you".....xoxoxox! my dear Ellen, you are so loving and getting all the rest of us, always congratulating us when we reach our milestones. Please know that you are in my prayers and thoughts. Some of us who are older and have done extensive damage to our lungs know that we could be where you are at any time. In fact it's always a few years after a person quits that they get sick. You have borne your setbacks bravely. Please get better. We need you. I just prayed for her and will continue to do so. God is our healer and I prayed for Him to use His healing powers on your mother's condition and to give you strength to continue doing all that you do. May God bless you both. Prayers for Ellen...I hope you get to feeling better soon..
hattonc and Sdavisfl and Mel424 Thank you so much for your prayers...I AM feeling much better. This blog was written three weeks ago and after two antibiotics and a stint with a nebulizer, I am back to feeling the best that I can feel. Thank you from the bottom of my heart. elvan Can't you just feel all of the overwhelming love? I am so glad you are feeling better! Just remember to take time out for you, and rest when you can! You are loved! are all getting older and it seems like there's always someone in a crisis. down days than good days. It's going to get better. bsheats I was 64 when I quit 4 1/2 years ago...I honestly do not think I would be alive if I had not quit. My breathing is pretty much always compromised BUT when I got sick, it was terrifying. I could not get a good breath in, thank God I have a nebulizer because I am certain that it loosened the mucous enough so I could cough stuff up. I am very grateful that I quit smoking, I just wish it had been sooner. The support and love I have gotten from this site are indescribable. Please stay close and let us know if there is anything we can do to help. Sometimes, just venting is enough to take a lot of weight off...I hate to think that you have had more down days than good days. We are here...sending big hugs. don't use them as much. But enough. I don't want to be addicted to these. this crap is over. If it ever gets over. us can do. Thank you for your encouragement. bsheats Wow, you have a lot on your plate. Remember that none of it would get any better if you smoked. That's the biggest lesson we can learn here. Please reach out and yell for help if you feel like you are slipping. The lozenges won't steal your breath so I say to just take this one day at a time...one issue at a time. HUGE hugs and thank you for the incredible support YOU give and the compliment that you just gave ME. been too busy. But maybe I need to. bsheats There is NOTHING wrong with crying, it's a way of releasing stress and dealing with pain. When I smoked, I RARELY cried, now I cry when I need to...I DO come here every day if i can...in the morning and the evening if possible. It really helps to vent to others who know how challenging this journey can be. It also helps to support people because it strengthens our quits. I understand being busy and I also understand being sick or taking care of someone else who is sick but checking in with EX is something I absolutely consider to be a priority because it helps me to maintain my quit...it makes ME stronger. Let those tears come out when they need to...it beats stuffing them down. We are here for you, PLEASE reach out if you need help or if you just want to vent. I will seriously consider using the site daily to vent my frustrations. Thank you for being there Ellen. Maybe I can be there for someone else. Thank yo Missy. Ellen, much love, comfort and faithful prayers to you my friend. Lauralives What a sweet comment...I really am doing okay. I am SO HAPPY that you are back. You are such a great addition to the site and you always have been. Sending you TONS of love.